Where there is gear, there will be gear nerds. 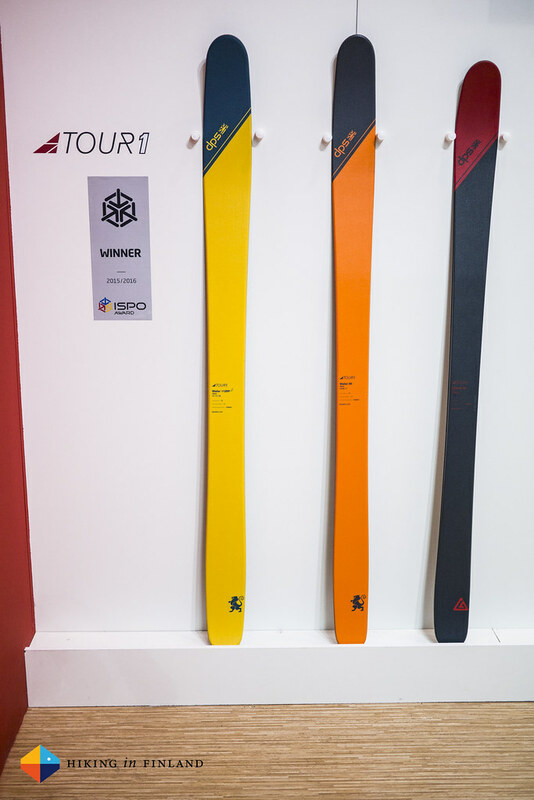 ISPO News 3.0 - enjoy this edition responsibly. Rab had a bunch of really excellent kit on display. 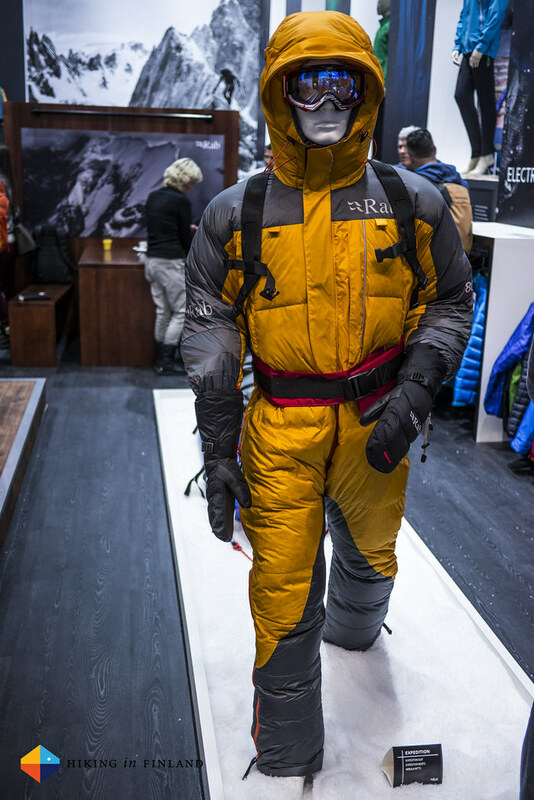 The eye-catcher at the start of the booth was the new Expedition 8000 Suit which comes as a Jacket & Salopettes combination (1.340 g and 850 g respectively) or as a suit (1.990 g). Kit for seriously high peaks or when the next ice age comes, but not for this rubbish winter. 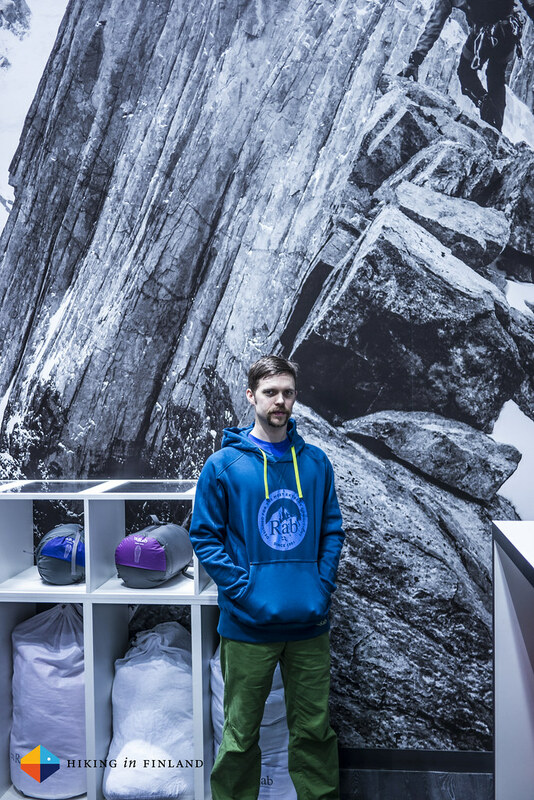 Kit that is more suitable for this winter is the new Rock/ Lifestyle collection which comes with a mighty fine Rab hoody, cool shirts and nice trousers for climbing and chilling at the crag. 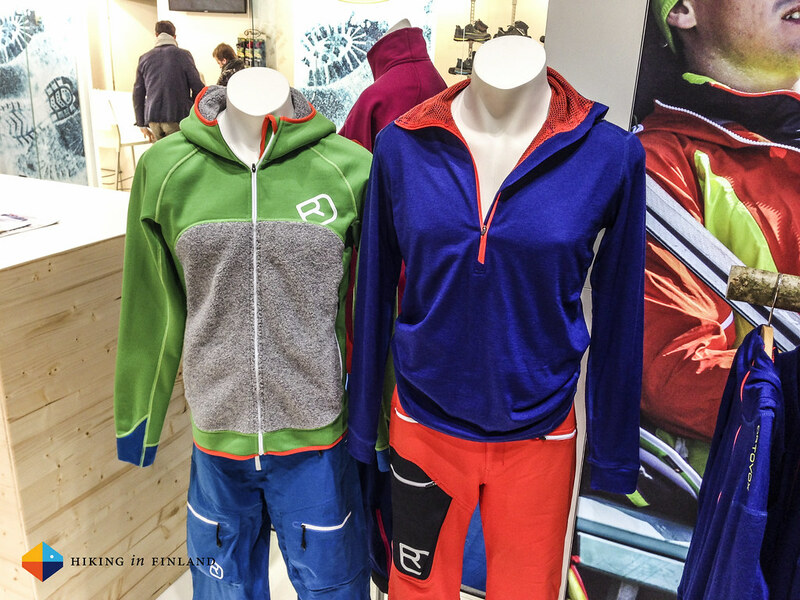 Women and men will be equally able to dress up in these garments, which already now are very popular with the Rab athletes. The Headwall Hoody above (539 g) feels great, but I liked even more the Elevation Pull-On which had a really nice hood design. The Rockover Pant (305 g) could also become popular with hikers, but it’s made for climbing and allows for freedom of movement. But lets move on to more technical garments, and there was no shortage of these. 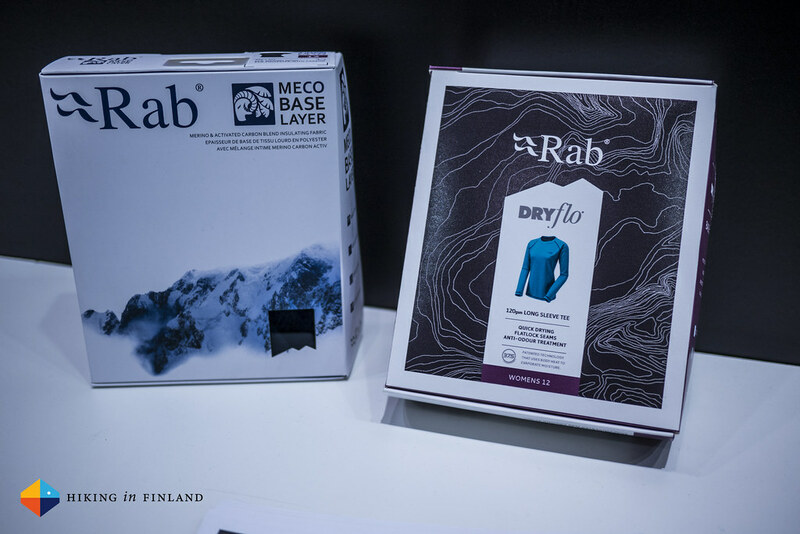 A big news was that Rab now uses Fluorocarbon-free Hydrophobic Down in all their down garments, which is good news for those of us who use their down garments in cold & wet environments. 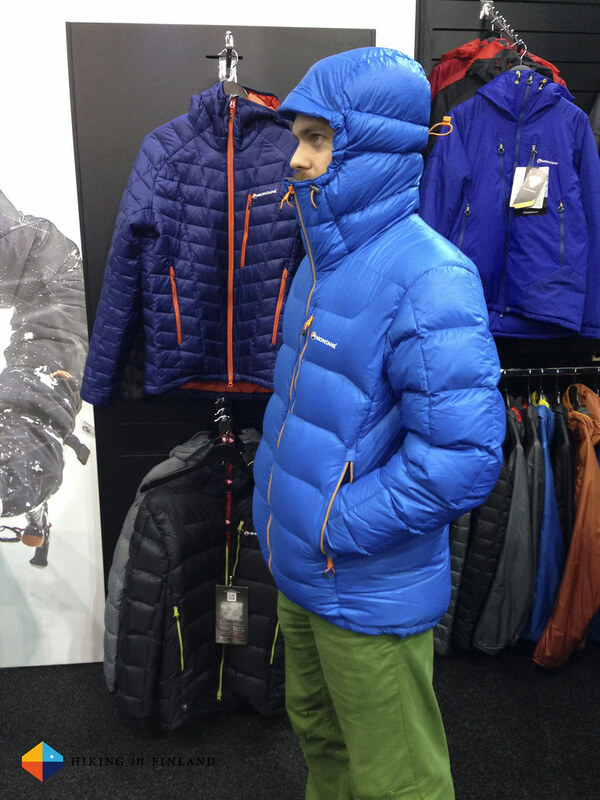 I tried on a handful of them and they had the Rab-typical great, alpine fit. Many down-garments also now get a body-mapping construction with using different baffles constructions in different areas, like the Electron Jacket pictured above (470 g) which has a Pertex Endurance shell and has Stitch-through Midi baffles in the torso, back and hood and smaller Stitch-through Mini baffles on the side and arms - if you look closely you can see the different baffle sizes in the photo. But it ain’t all down. 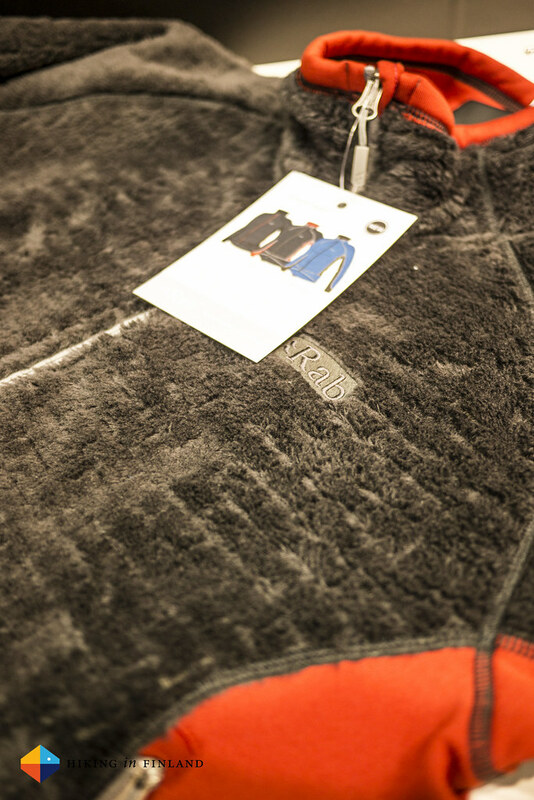 The Paradox Pull-On uses Polartec® Alpha™ insulation with a super-stretchy lining and shell. 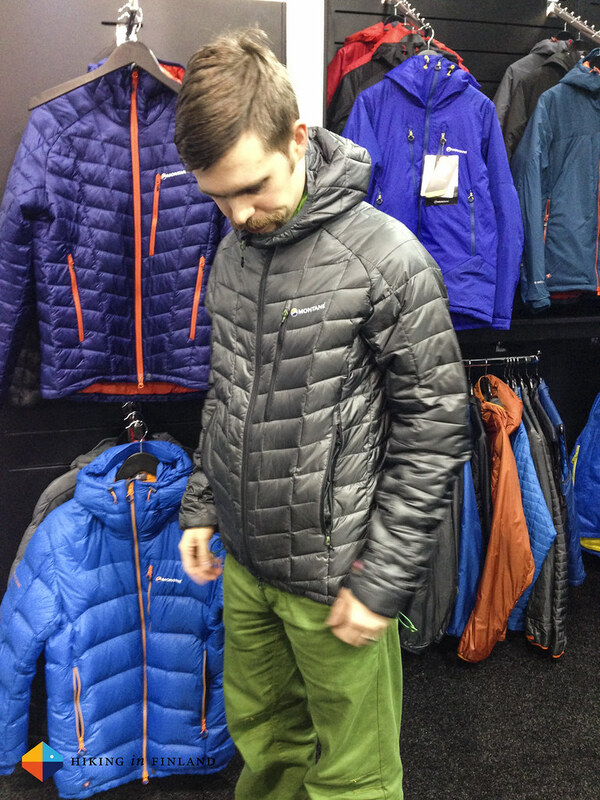 A deep zipper helps with dumping heat on fast ascents or runs, and if you don’t need it the 360 g top packs away small. This was a really nice piece and would be great as a autumn layering piece or on its own on cool days. 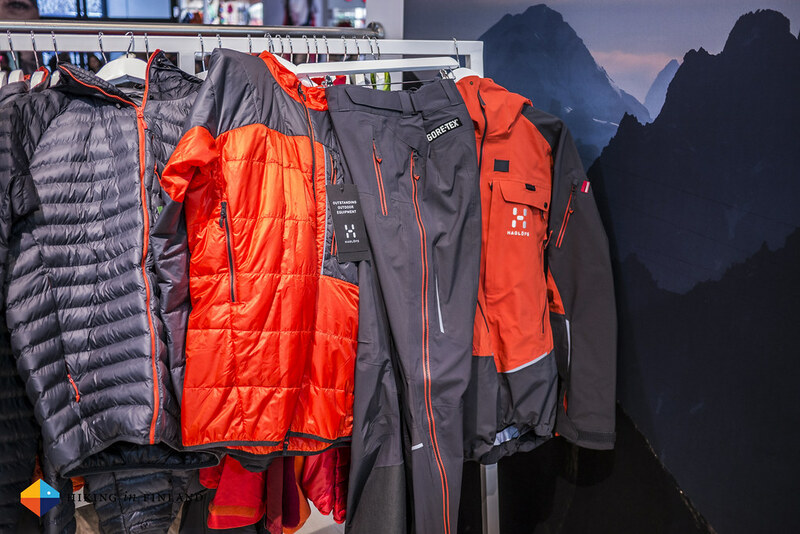 There was a bunch more really innovative backpacking/ hillwalking/ climbing/ mountaineering & lifestyle garments to be seen, so you can start saving your $€£ for the coming winter because you’ll want to pick up some of these. What I love about these trade fairs is meeting the people who love what they can do with their products. At DPS Skis I asked my contact which of these he’s riding. “I love the Wailer 99 with Dynafit Radical bindings and a La Sportiva Syborg boot” he told me, and then and there I knew that we’d get along just fine! That’s a pretty awesome and lightweight setup, and best of all: You too could get it! 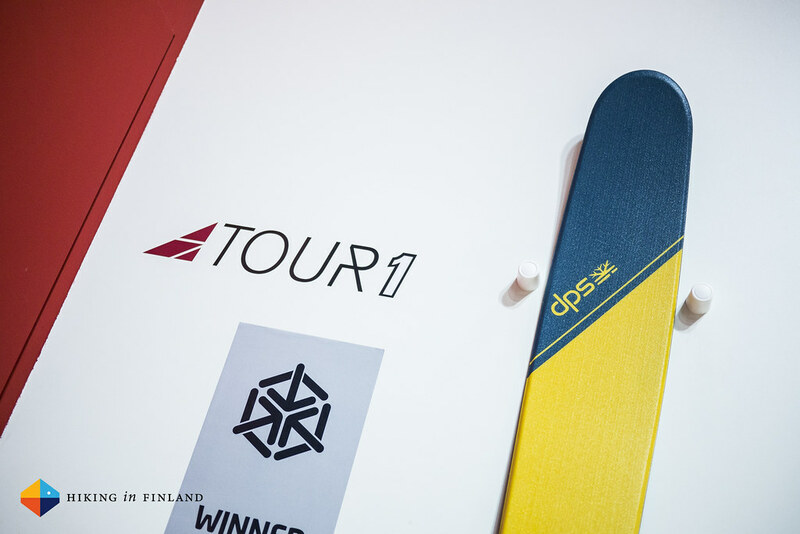 Because unlike other manufacturers DPS Skis sells their brand-new and ISPO Award winning Tour 1 Skis already now. 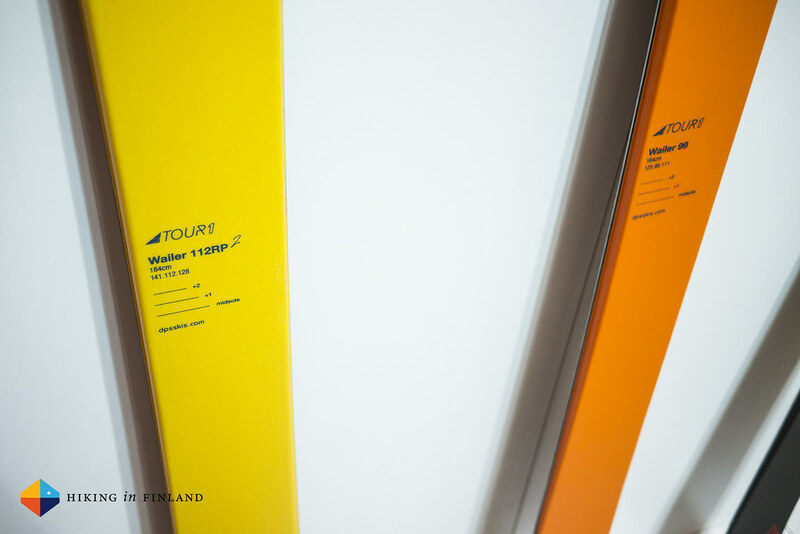 So the Tour 1 are lightweight (1.350 g for the 176 cm Wailer 99!) backcountry touring skis which also perform very nicely on the way down the mountain. Because you shouldn’t invest energy in long tours if you can not enjoy the descent! These lines have been developed in cooperation of the Snow and Alpine Teams from Patagonia, and what I saw at the fair looked really swell. 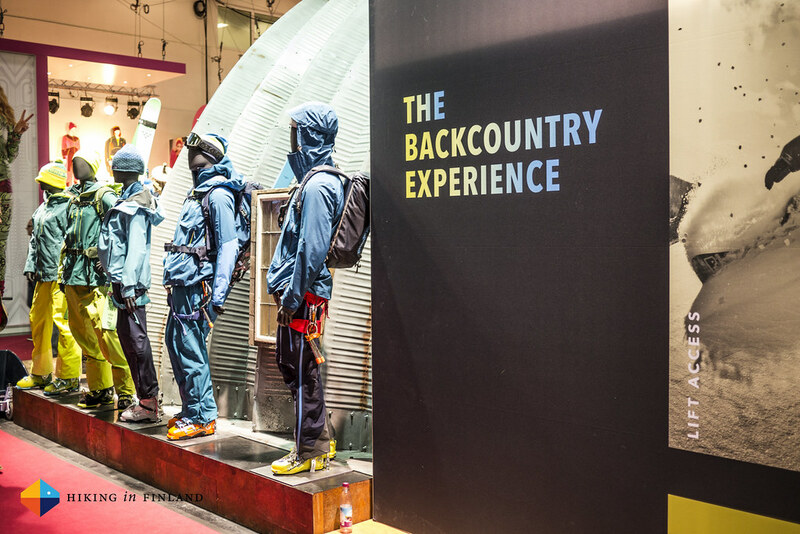 Technical fabrics, functional fit and design, all made with the Patagonia-typical environmental thoughts in mind. This is applicable to both the Merino and Capilene® baselayers. 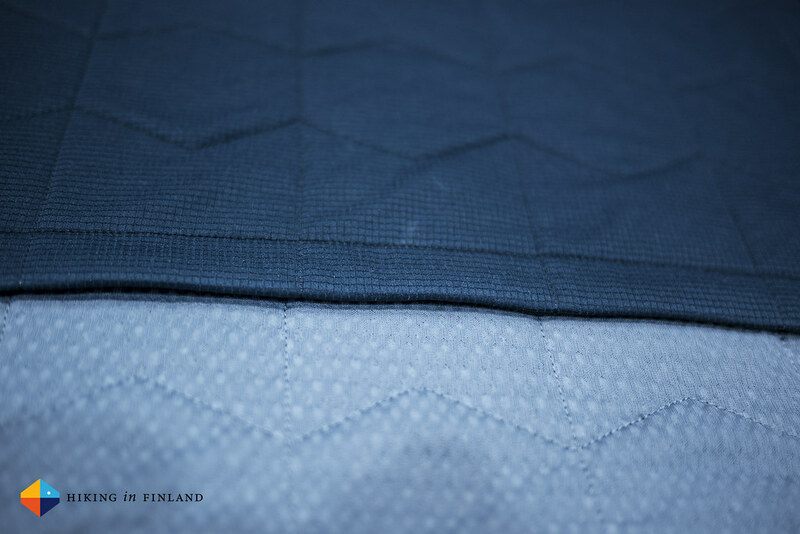 Capilene® got an updated fabric that is made from recycled Polyester with better odour control and wicking. 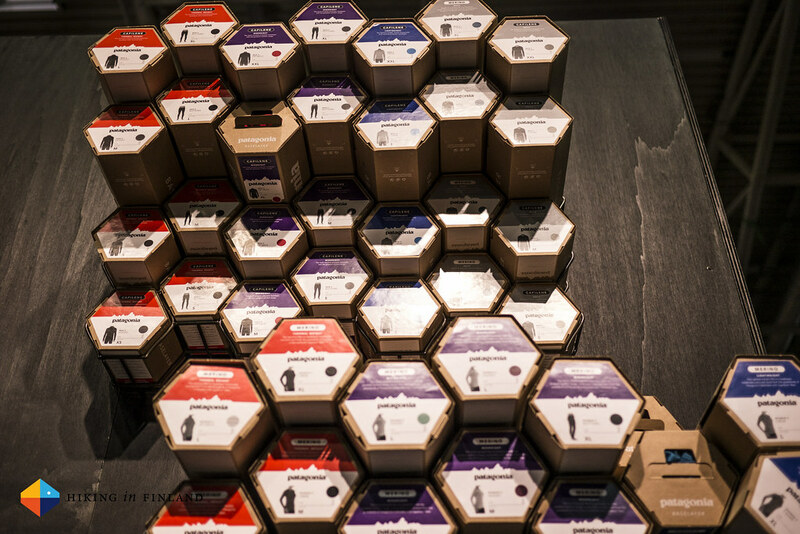 The fit has been made the “Slim Fit” across the last three categories (Lightweight, Midweight, Thermal Weight) and everything is recyclable through the Common Threads recycling programme. The baselayers felt soft and nice to the touch, but of course only wearing them one could start to make an opinion on them. The Merino line is made from Patagonian wool and has very nice stripe designs and also felt great. And as you can see above - the whole packaging has been renewed. And then there are Jeans. I haven’t worn a jeans in probably five years but it’s still the de-facto pants for many people. I know that Jeans/ Denim manufacturing is a filthy business, so it’s good to see that Patagonia is setting out to change that. Patagonia® Denim uses 100% organic cotton grown without polluting fertilizers, poisonous pesticides or herbicides. A low-impact dyeing process enables them to dramatically reduce water, energy and chemical use and produce less carbon dioxide. Patagonia also never distress their denim with harsh chemicals or other methods. 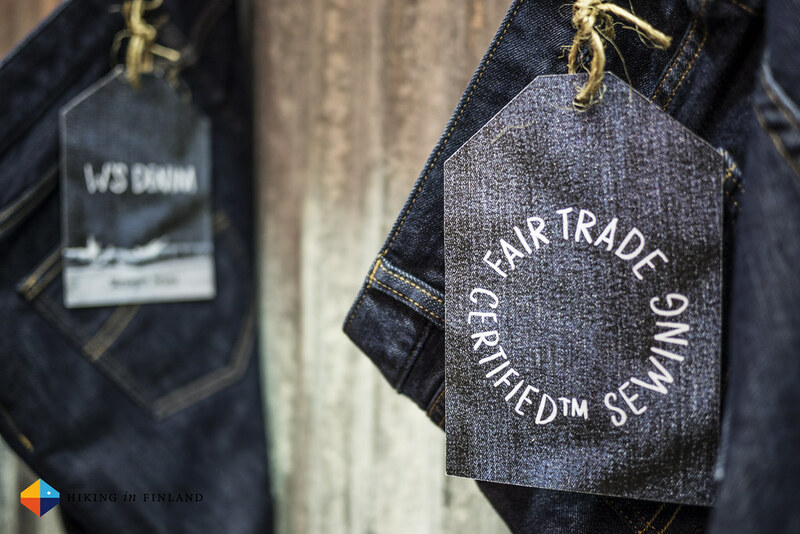 And the garments are Fair Trade Certified™ for sewing, which makes Patagonia Denim the way denim should be made. Here you can read more about the Environmental impact of denim product. 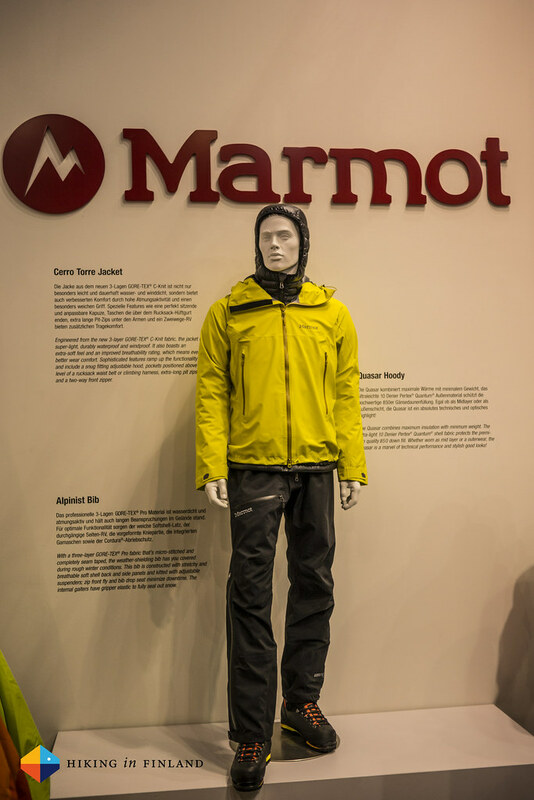 The Cerro Torre Jacket from Marmot got a full technical revamp and now promises even better performance than its predecessor. Made from the new 3-layer Gore-Tex® C-Knit fabric the jacket is super-light and stays durably waterproof and windproof. The C-Knit gives it a soft feel and an improved breathability rating, which means even better wear comfort. A snug fitting hood, pockets positioned above the level of a backpack waist belt or climbing harness, extra-long Pit-Zips and a two-way front zipper make this a versatile jacket that’s equally well-suited for hiking, trekking, all mountain skiing and freeriding. It was my first visit at Lundhags and it was very nice. I got a pair of their superb Guide BC Boots last year for Nordic Touring Skating and skiing and really like them, so it was good to see more of their gear. The big news at the Swedish company was their introduction of casual footwear. 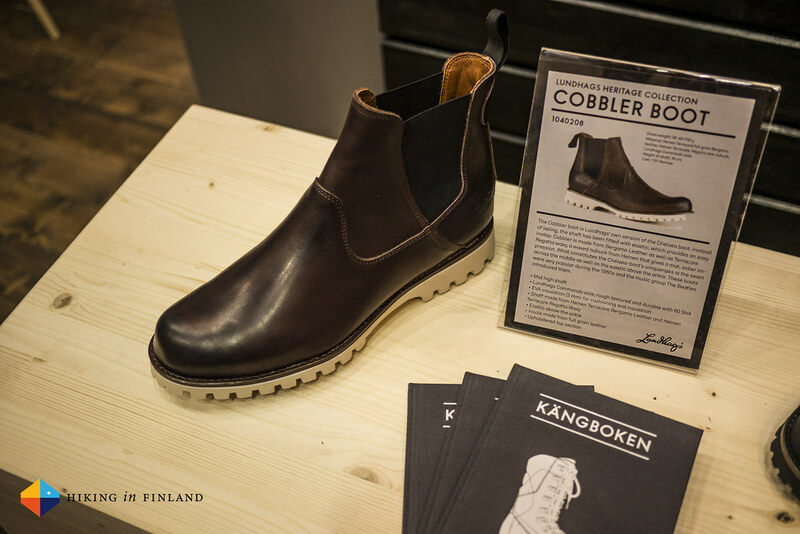 I like the look of the Cobbler Boot above, which has a mid height shaft that’s very flexible. I would have liked a more minimalist sole myself, but I reckon the majority of people will like it just as it is - after all, The Beatles wore shoes like this! 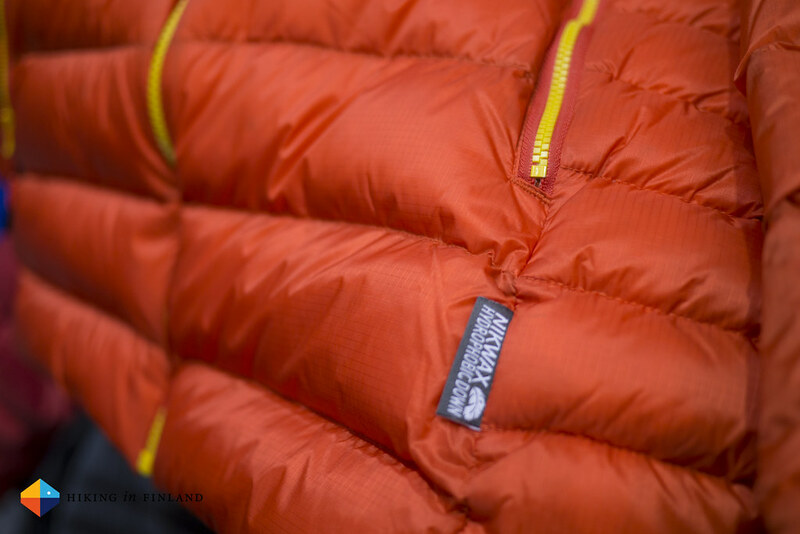 The Termik Jacket and Termik W’s Anorak above are made of Lundhags Polycotton material that has a parafin wax layer. The material has a 16.000 g/ m2/ 24h breathability rating (minimum) and a 20.000 mm hydrostatic head. The Anorak has a separate inner pocket in the large chest pocket, and a long zipper for easy entry/ exit as well as ventilation. It’s a classic-looking garment made of modern fabrics (well, Polycotton has been around a bit under other names) that surely will find a lot of fans. Ortovox is a company I also really like. Creative & innovative products, great materials and colours, friendly and passionate people - what’s not to like? 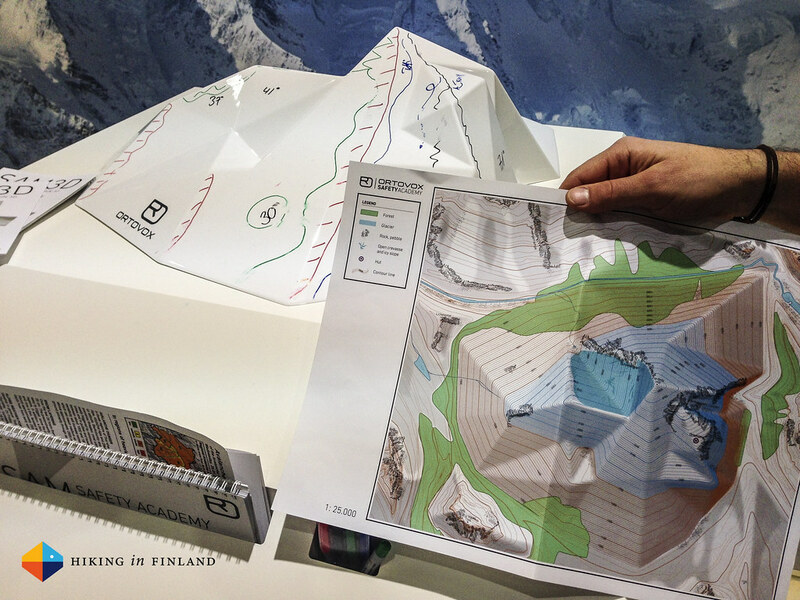 Take the SAM 3D mountain model: It’s a 3D mountain model for avalanche education that they created after a Mountain Guide contacted them and said “Look, I have an idea”. This model allows you to recognize and interpret topography, understand contour lines, lets you estimate slope steepness and and and. It comes with a map, a set of water-based markers, a handbook and a Clinometer. This is such an awesome and much needed product that one can actually just winder: Why hasn’t anyone thought of this before? 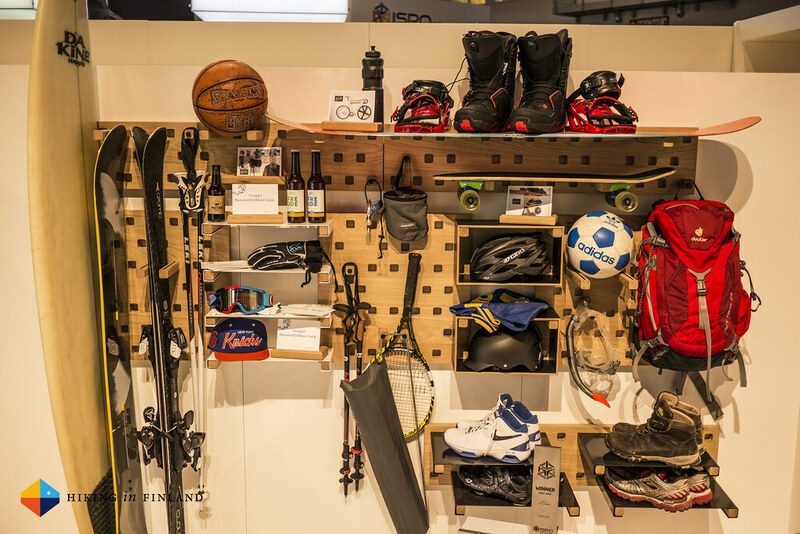 That’s what the ISPO also thought and made it a Gold Winner! 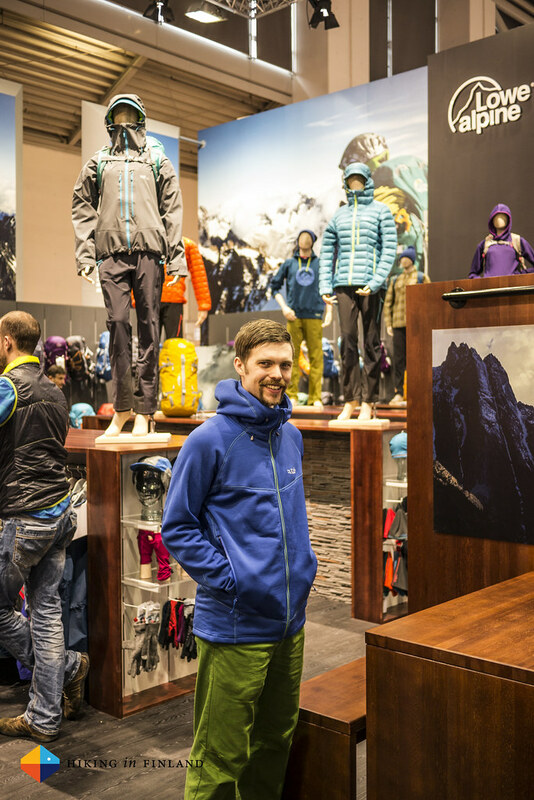 The Piz Palü Jacket rounds out the layering system from Ortovox and is a super-technical jacket. 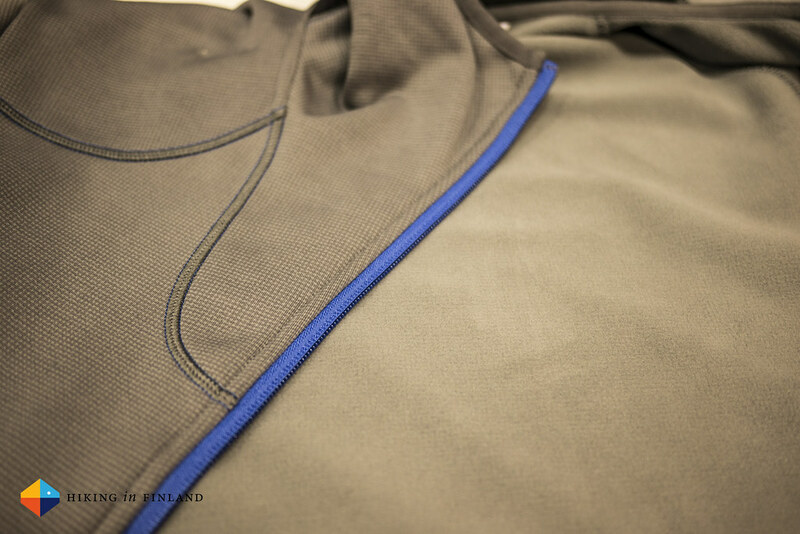 It uses Pertex Microlight, schoeller naturetec, Swiss Wool and Merino wool to create one athletic touring jacket. It weighs 424 g and has a body-mapping construction which places the mentioned materials there where they make the most sense. 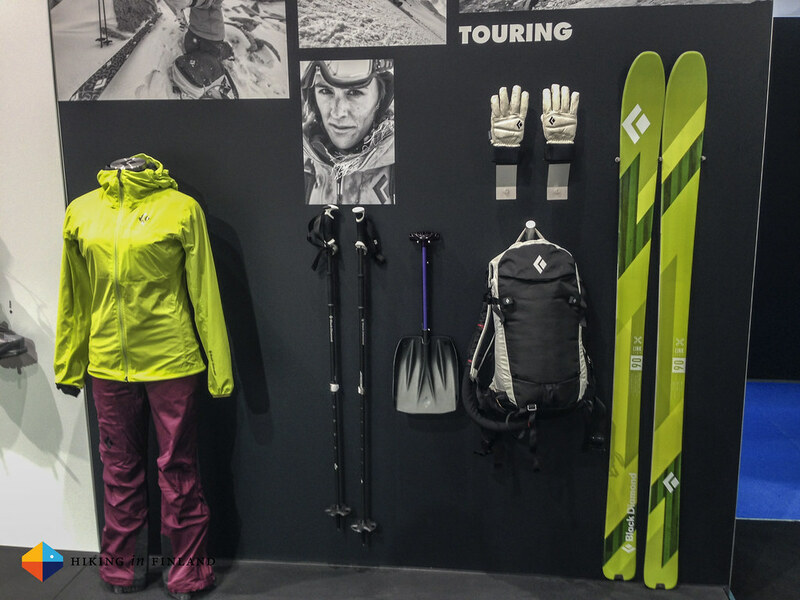 Since Black Diamond entered the apparel market they have been going from strength to strength, refining each season their line and making the garments better and better. 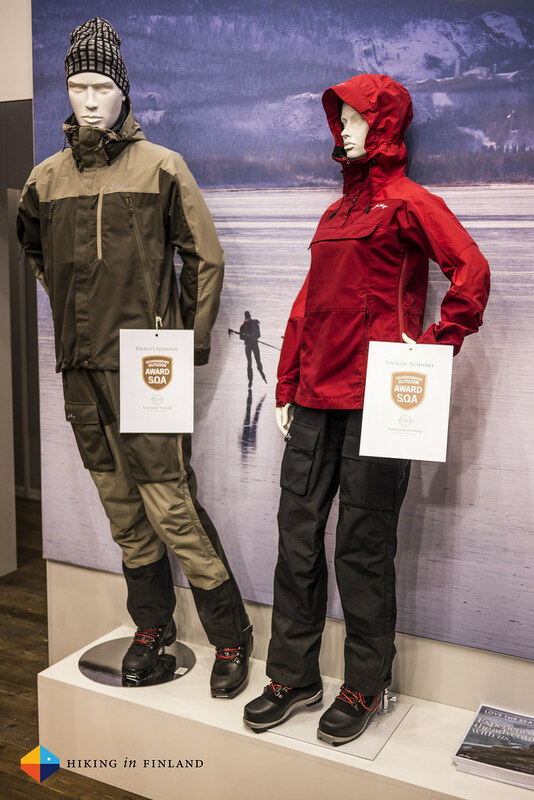 This kind of approach is rewarded, and so their Misson Pants with Pieps Pocket won an ISPO Gold Award. I did like the Viper Ice Tool which weighs 570 g with the Hammer or 595 g with the Adze and has an adjustable FlickLock Pommel - which, yes, employs the same FlickLock system as you already know it from BD Poles. It has a Titan pick and the head is modular, so on days where you need two Hammers or Adzes you can leave the other one at home (saving 80 g/ 105 g respectively, which yes, means, the “naked” tool weighs 490 g). 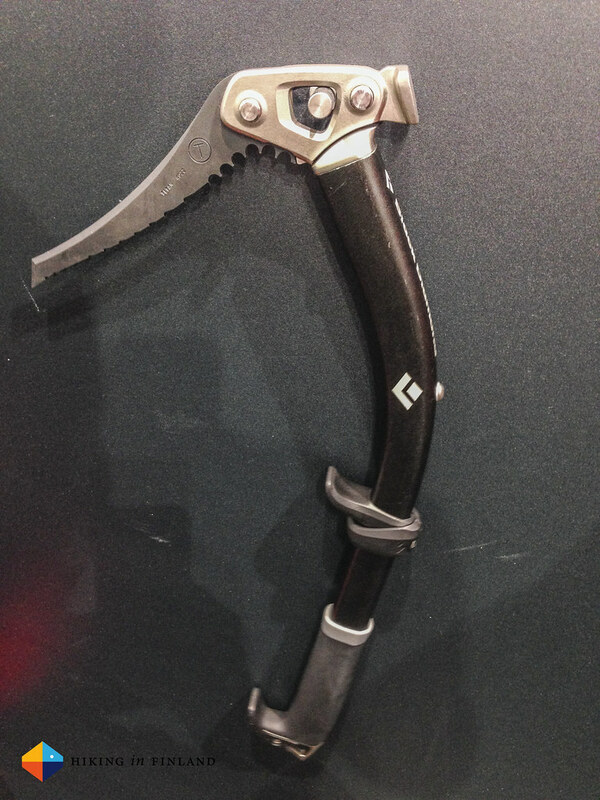 This makes it the lightest BD ice tool yet, and being made from hydroformed aluminium these will last, too. 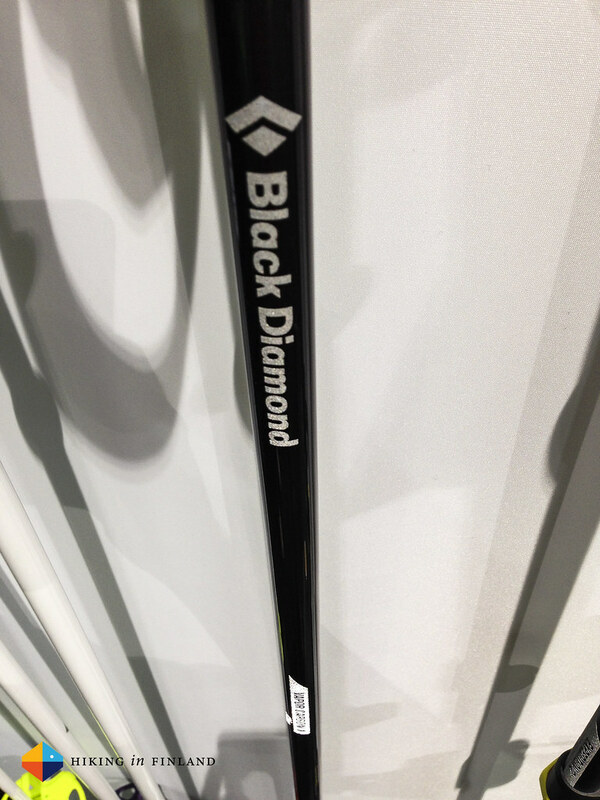 The Vapor Carbon 1 poles weigh 310 g for the pair which makes it one of the lightest ski poles on the market. It’s a one-piece pole that’s made for ski-mountaineering - but that shouldn’t hinder the dedicated gram-weenie to use them for backpacking and pitching his shelter! Available in lengths of 115 to 145 cm in 10 cm steps they can be equipped with Powder Baskets and Freeride Baskets. The Dawn Patrol 32 is a mid-sized lightweight ski pack that can accommodate either skis or a snowboard and is AvaLung-Ready. The AvaLung Element is a streamlined, modular AvaLung unit that attaches to AvaLung-Ready packs and is a lightweight, affordable avalanche safety technology that significantly increases your fresh air supply in the event of a burial. 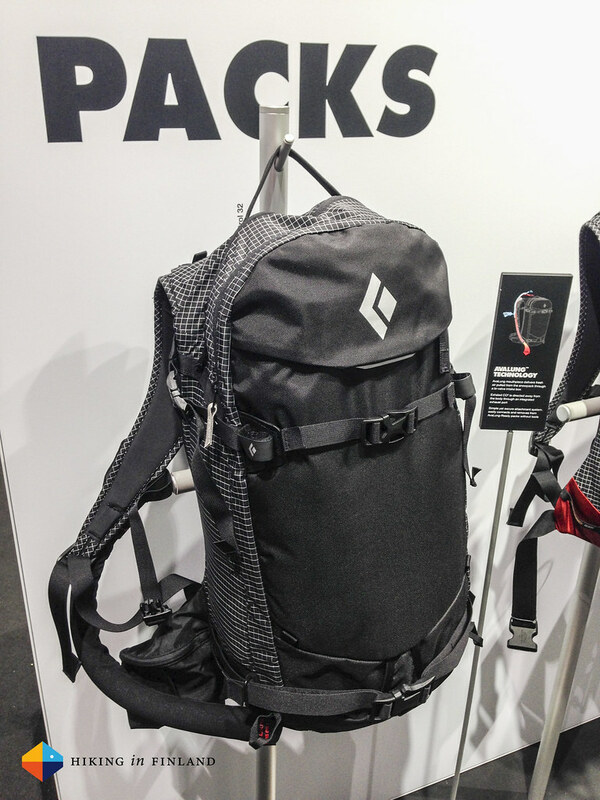 The AvaLung almost triples the air supply when you’re in an avalanche and at 100€ it is substantially cheaper than ABS packs et al. The new gear from Haglöfs was interesting. 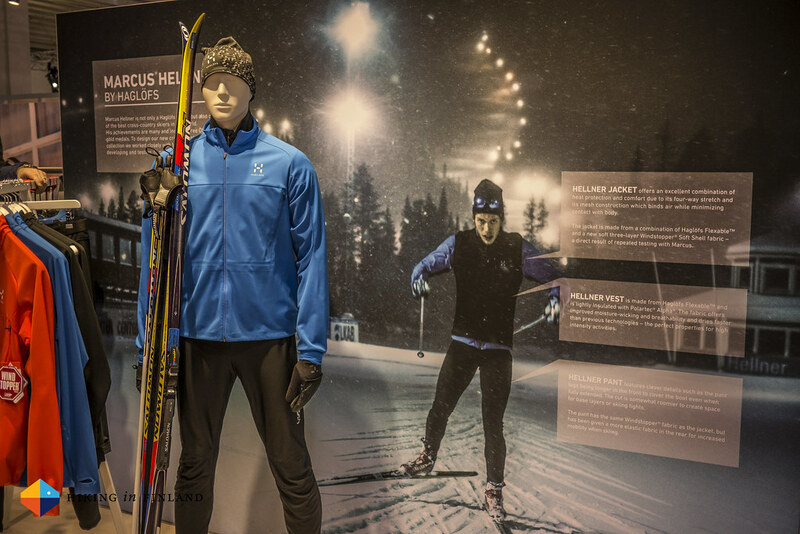 The skiing gear developed with Marcus Hellner will delight the cross-country readers. Lots of Windstopper garments which keep cold wind out but are highly breathable, with body-mapping constructions and smart details like magnet closures. The Barrier Pro III Belay Jacket won an ISPO Gold Award and is a belaying jacket that’s mighty warm - too hot for me to wear indoors, so I quickly put it off again. Filled with QuadFusion™ Pro that has a windproof and waterproof membrane it keeps in the warm air generated by the body but is breathable enough to not be uncomfortable. 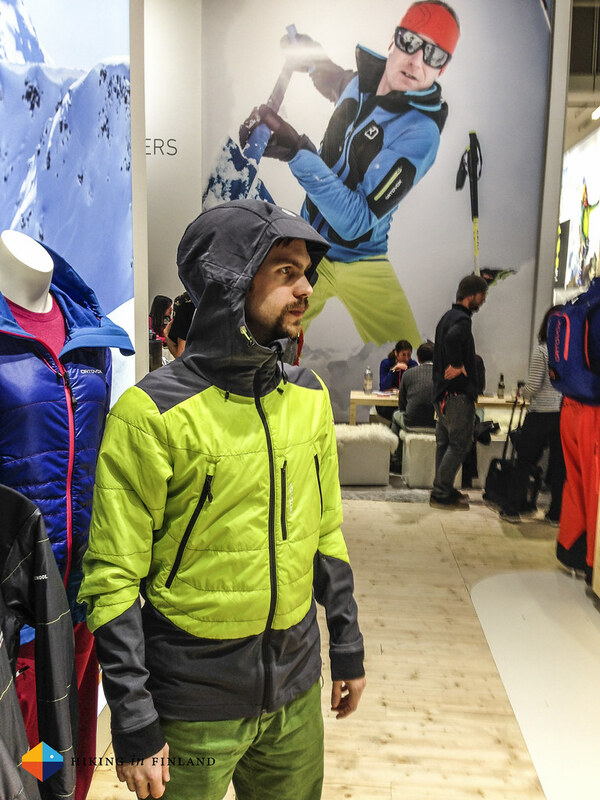 The fit is to be worn over a Hardshell/ Softshell which is in my opinion also a great way to wear your insulation jacket during hiking/ skiing breaks. The Mountain Pro will only be available for Mountain Guides and SAR Employees - people who work in the mountains. Developed in cooperation with mountain professionals and the Swiss Alpine Rescue the garments are super burly and consists of the ROC Rescue Jacket, BARRIER Rescue Jacket, ROC Rescue Pants and ROC Rescue 40 backpack and are made to be functional twelve months a year and be adaptable, not just to different weather conditions and temperatures, but also to different types of rescue missions. 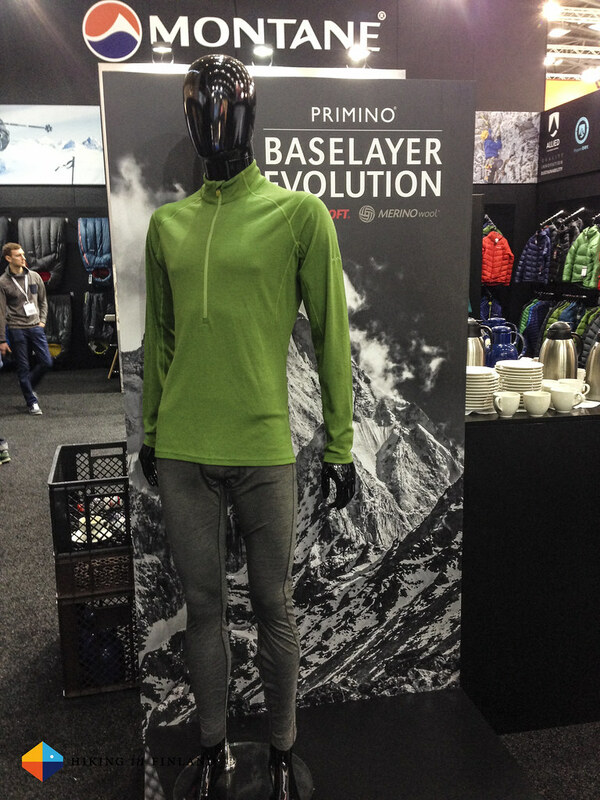 Montane’s big news were the new Primino Baselayers, which combine Primaloft® yarns with Merino wool. These baselayers come 220 g and 140 g weights, with gloves, long johns and boxer shorts accompanying the tops. The idea is that the Merino wool draws vapour sweat away from the body whilst the Primaloft® yarns wick liquid sweat across the outer surface, allowing it to dry quickly. I got one here and will put it to the test so expect an update on them before next winter. The Black Ice 2.0 Jacket is Montane’s warmest down jacket and weighs 679 g in Size M. It is filled with 250 g of Primaloft Gold Insulation Down Blend and has a Freeflow Ultralite 38 g/m2 shell. The torso has a Boxwall construction while the sleeves have a Stitch-through construction. The hood has a wired peak and fits over a helmet. Toasty warm it was! Equally warm was the Hi-Q Luxe Jacket, which is filled with synthetic Primaloft Gold Luxe. Primaloft Gold Luxe is a new twist on the Thermoball technology of The North Face (which also was developed by Primaloft) I feel, which should be just like down but keeps you warm even when wet (unlike normal down, which collapses). 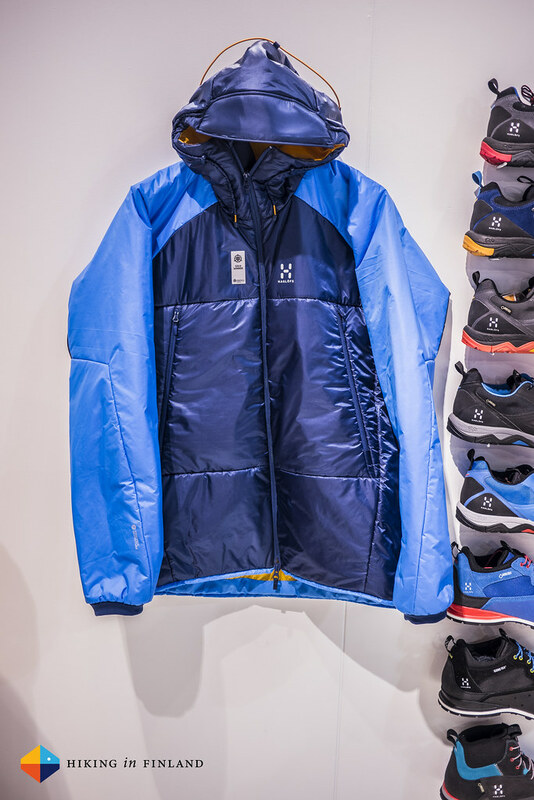 The Hi-Q Luxe tips the scale at 575 g in Size M so isn’t too light, but it packs small and would make a good layering piece on cold days - but thanks to the Pertex Quantum shell you also can wear it on its own!